Even though a guest toilet is usually quite small, there is no reason it shouldn’t be big on style. It is a great addition to your house if your friends stay overnight from time to time. If it would be near their room they won’t wonder in the dark looking for it stumbling on your precious furniture. We want to share some things you need to have in mind when you’re designing a guest toilet. It require no storage, natural light is not usually a priority so all you need there are a toilet itself, a small sink and a single chandelier. Although you might want to decorate it with style. Cool wallpapers, a fancy sink, a gorgeous chandelier and probably a small under-sink cupboard are things you need to choose. 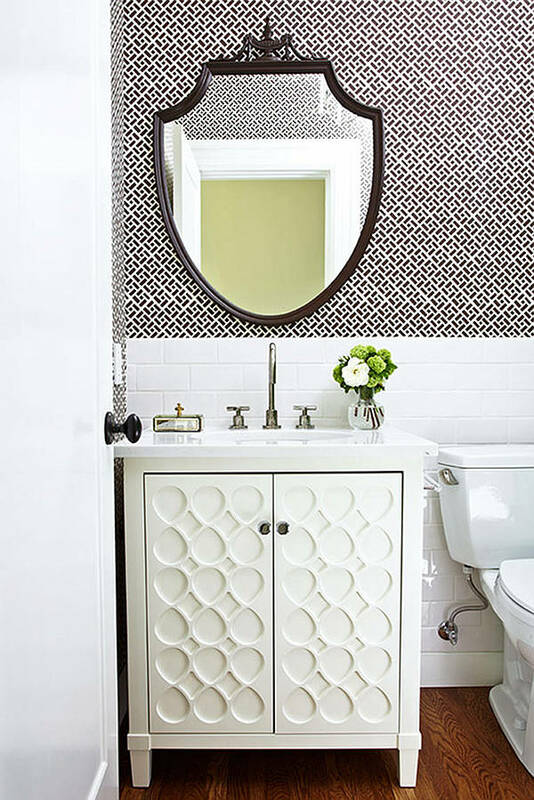 We’ve gathered for you a bunch of guest toilet designs to help you choose.